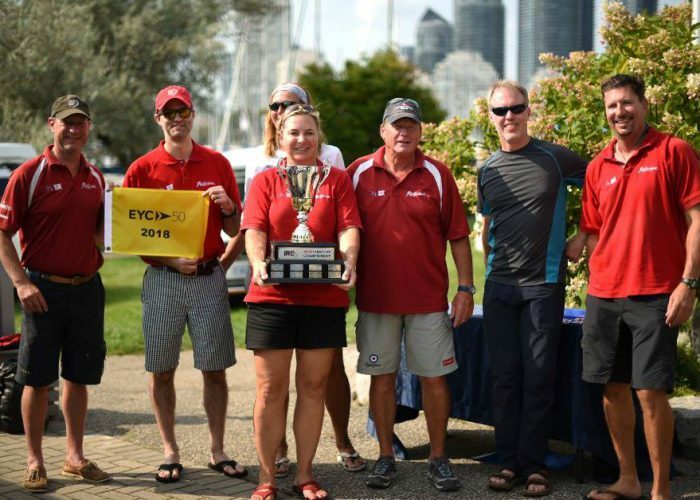 Following the Championship held at Storm Trysail Club’s Block Island Race Week in 2017, the 2018 IRC North American Championship was hosted by the Etobicoke Yacht Club in Toronto, Canada on August 25/26 as part of their Open Regatta. There were 18 entries in two classes, with 6 races over two days. Class winners were: Class 0 – Hot Water (J 133, John McLeod), Class 1 and overall – Notorious (Farr 30, Kevin Brown). Full results can be found on the LORC website.